The HumoDEVA International Cartoon Contest is an open competition for artists all over the world. Anyone may take part, with no restrictions. You can participate in one, two or in all three themes, with maximum 5 works/theme. Only the original drawings of the prize winning entries should be sent in maximum two weeks from the results announcement, well wrapped and protected against damages. 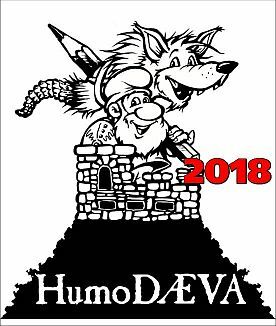 The contest results will be announced on the HumoDEVA 2018 web site . The eCatalog, in .pdf format, will be sent by email to all selected artists. All copyrights are held by the authors of the works.